Note from the LeftEast editors: This text was originally published on the authors’s blog Global Social Change, dedicated to his book The European Union and Global Social Change: A Critical Geopolitical-Economic Analysis, Routledge 2009 , and is reprinted on Lefteast with the kind permission of the author. 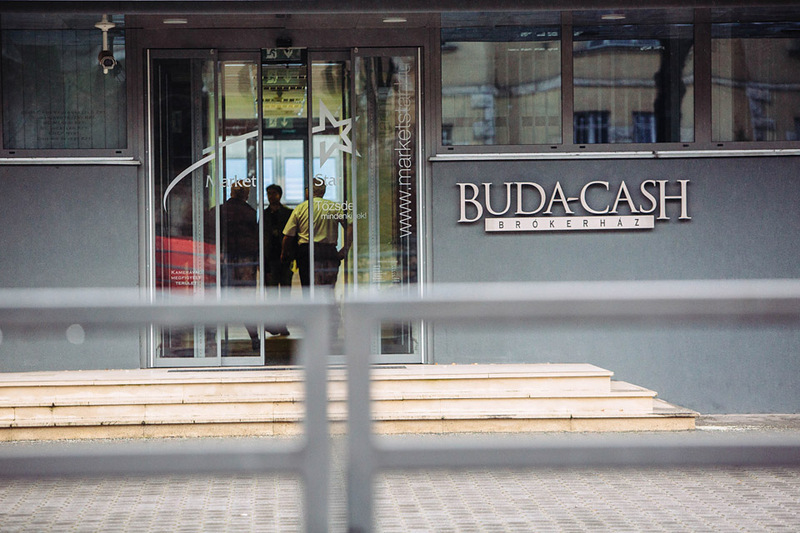 Hungary’s National Bank, in its capacity as financial regulator, has recently suspended a Hungarian brokerage firm by the name “Buda-Cash” for major irregularities. The claim is that the infractions unfolded over a period of more than ten years, and the estimate of the magnitude given by the regulator exceeds HUF 100 billion (approximately USD 371 million at the time of the announcement). That may not sound as a lot of money in the world of Big Finance , but it is quite significant in small, semiperipheral Hungary. The charges include guaranteed returns, unreasonably long lock-in periods (effectively preventing clients from being able to cut their ties from the brokerage ), both of which could be seen as clues pointing at a possible Ponzi scheme (where returns on earlier investments are paid from new revenues, rather than earnings ). The shutdown includes the brokerage itself and a set of small local banks in Hungary that are owned by the brokerage, typically involved in managing finances for municipalities of small towns and villages (which in turn include salaries for municipal employees as well as public public works and aid programs), and tiny-to-small, typically village- or small-town-based, local businesses. As of the announcement of the closure, none of those actors have been allowed access to their monies, threatening major wage arrears and a financially impossible deadend for many. The Tax Office has announced that they will treat those whose monies are frozen in the crisis “with leniency.” What exactly they will put on the table, as of tomorrow–nobody knows. State guarantees for small deposits–a requirement for an EU-compatible economy–will kick in once the investigations into the wrongdoing are over, which could be, in the most unfortunate case , years. Estimates of the number of those affected go up to 100 to 120 thousand accounts (that is, approximately 3 to 4 % of households). Not a small problem, by any measure. A more recent report suggests that about 70% of the funds are missing from the four smaller banks; the rest from the brokerage itself. A couple of things stand out as remarkable about all this. First of all, it is the job of the National Bank as regulator, the authority that now claims major wrongdoing on part of the brokerage , to catch such wrongdoing. Either the regulator–which now says the scheme may have been going on for more than a decade (! )–“fell asleep at the wheel,” as Lajos Bokros, former neoliberal austerity-finance -minister and former member of the European Parliament has commented, or the brokerage has operated a–hitherto–airtight, fully double bookkeeping system, one for itself, another for the regulator’s benefit. The latter would involve a mind-bogglingly complex operation–essentially the re-doubling of all operations at the brokerage . This is not very likely, partly because of the inordinate costs, partly because of the high risk of being caught. Either of those is the case, what is strikingly interesting is that, apparently, the regulator did not “discover” the irregularities at all; index.hu, a usually reasonably reliable investigative web portal reports that the case broke because somebody from the brokerage reported the irregularities to the National Bank–i.e., s/he made it impossible for the regulator “not to notice” them. József Böröcz: “Orbán’s effe .. Things NOT Happening With Respect to the ..
Business-as-usual for the neoliberal post-state-socialist context wherein the regulator (falsely portrayed as a representative of “the state,” instead of what it is supposed to be, a trustee of society at large) “takes it easy” on large market actors, especially big capital, and even more specifically big finance capital. Next, there is a major question concerning the ripple effects of this crisis. Giving away both the slowness and the lack of proactiveness on part of the media sphere in Hungary, as yet, nobody is really talking about this there. I will mention three points here. Crises exactly like this are known to have major negative effects on the well-being of national economies. Since Hungary is not a member of the Euro, its currency is not protected against crisis-driven devaluations. If the Forint were to lose its value precipitously–partly because of the adverse effects of this crisis on other economic actors that have been connected to Buda-Cash, partly due to the usual “moral hazard,” i.e., the predictable sudden drop in trust in the Hungarian economy by actors both in- and outside, that would further increase the relative power of foreign investors in Hungary and slightly improve the foreign market conditions for Hungarian exporters, while placing a major burden on all actors whose incomes accrue in local currency but wish to consume, at least partly, abroad / in foreign currencies, e.g., in Euros (i.e., pretty much the entire capitalist class, the educated middle classes, and pretty much everybody else that wish to purchase basic staple commodities, given that the small Hungarian economy is extremely exposed to such imports). Another, superbly interesting question is how far the crisis would go beyond Hungary. By virtue of its small size, lack of natural resources and the last generation’s transformation into an export-oriented, second-tier semiperipheral manufacturing economy, Hungary has intricate economic ties with many of its neighbors. There are no checkpoints on the Slovak-Hungarian, Austro-Hungarian, Slovene-Hungarian and Croatian-Hungarian borders, it is extremely easy for actors on each side of those borders to engage in economic activities, including work, investment and even residence, on the other side, and, given the presence of ethnic Magyar populations in the remaining neighbors (Ukraine, Romania and Serbia) who even have a (Hungarian) constitutional right to a Hungarian passport without permanent residency in Hungary, not to mention the, by now over three-decade-long informal integration of a segment of the seasonal labor markets of the latter societies into the Hungarian economy, if there should be a major financial breakdown, all of the neighboring states might be adversely affected. The third point is a scholarly / intellectual question regarding the extent and the structure of what is commonly referred to in the literature as “European integration.” Hungary is a member of the European Union (without Euro-membership as mentioned above). Essentially, this implies that the density of the economic ties, from investment to the presence of labor migrants, that bind Hungary to the European Union (and, empirically, we can safely say that the densest ties are with Germany, Austria and the UK) is greater with the EU than elsewhere, say, with the US. In what ways, or whether, the coming crisis, should it happen, will affect those economies–say, major investors like Germany and Austria, or major recipients of outflows of Hungarian labor (remember, btw: all these flows are not only legal under EU rules, they are explicitly encouraged by all the rules and regulations guiding the European Union) including Germany, Austria, the UK or the Netherlands, will tell us about the character of “European integration.” For, if it should happen that the Hungarian economy goes down the drain (or: at least sinks perceptibly) because of the possible effects of this crisis AND the crisis will not affect the rest-of-the-EU, or more specifically, Austria, Germany, etc., in any noticeable way, that might suggest that “European integration” is, for instance, perhaps, a tiny bit more asymmetrical in terms of the risks its membership implies than what the EU-literature is willing to discuss. 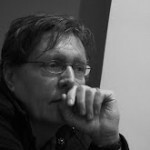 (As an interesting aside–honestly, I’m not sure what to make of it, but it’s definitely relevant: neither the Guardian, nor the Frankfurter Allgemeine Zeitung, nor Süddeutsche Zeitung, nor Der Standard, nor Die Presse–i.e., none of the major mainstream news outlets in the countries I have mentioned have–reported about this crisis up till this moment. 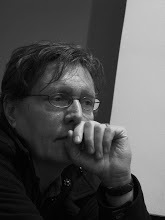 József Böröcz is a professor of Sociology at Rutgers University. He is a member of Public Corporate Body of the Hungarian Academy of Sciences, an executive board member and a faculty affiliate at Center for Migration and Development, Princeton University, the head of the Advisory Board at Karl Polányi Institute for Global Social Analysis, Corvinus University, Budapest, and the past director (1995-2007) of the Institute for Hungarian Studies at Rutgers University.